The organizers of annual Ghana Fashion & Design Week are excited to share the news of their partnership with the luxury car brand, Mercedes Benz and supported by Silver Star Auto Limited Ghana. The event who couldn't hold last year due to government of Ghana suspension on all international event because of Ebola virus in some part of Africa countries is back with more exciting activities. Mercedes-Benz is well known for its unique alignment with Fashion Weeks on the global fashion landscape, and the only Automobile brand significantly at the forefront of creative development support of local and international fashion business platforms, laying focus on, and promoting emerging new design talents. As the world’s first automaker, design innovation remains at the centre of Mercedes-Benz luxury cars unique engineering pioneered by its inventor Carl Benz. 2014 Fashion Design graduate of Radford University College (RUC) in Accra, Afua Biney has already been a beneficiary of SSAL - Silver Star Award of Excellence, as the best fashion design graduate in her year. Afua, who has been under guidance and development support since 2014 at the GFDW New Talent Spot initiative space, will reveal her premiere collection at the event this year. Three(3) new best fashion design 2015 graduate talents from Radford University will join Afua at the initiative space. The organizers are delighted with progress at GFDW, hailed as one of Africa’s globally recognised innovative fashion platform for commerce. 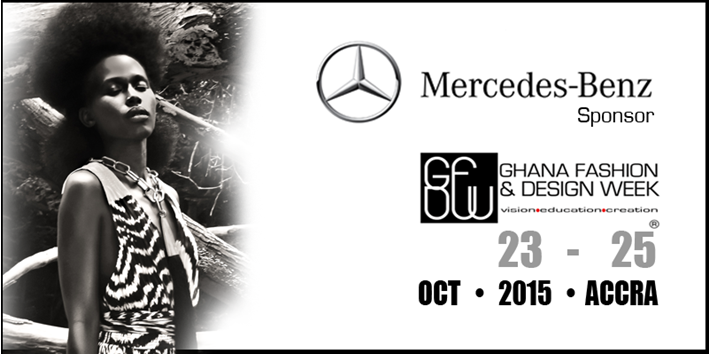 With fashion sitting at the centre of Mercedes-Benz global activities, it is encouraging to have Silver Star Auto Ltd. support with the Mercedes-Benz brand at the forefront of fashion business and design education development in Ghana.